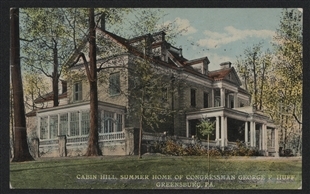 Fabulous estates and famous owners often showed up on postcards in the early 1900s. 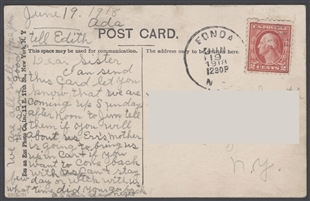 This card, sent home by visitor Ada Smith to her sister Grace, showed the colossal arched gateway to Starin Place. 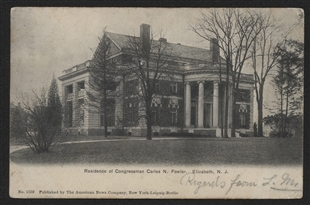 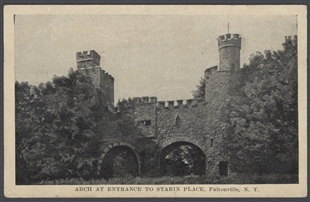 Representative John Starin of Fultonville, New York, kept a house and grounds so grand that he employed 110 gardeners. 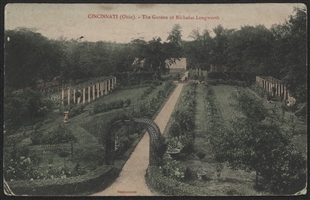 Oranges, figs, and rare ferns made Starin's greenhouse a tropical wonder.